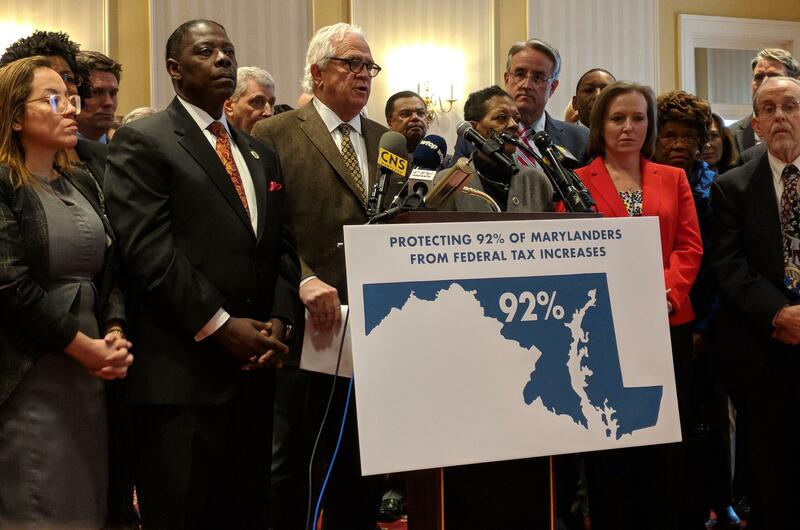 Senate President Mike Miller, surrounded by other Democratic legislators, presents legislation aimed at buffering the effects of new federal tax law. 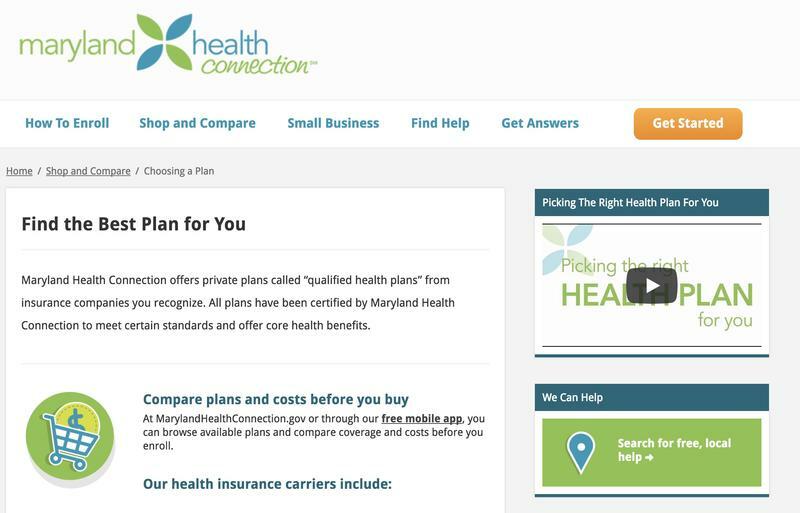 The change likely to affect the largest number of Marylanders is Congress’s elimination of the personal exemption. Lawmakers say they plan to ensure taxpayers can still claim it at the state level, saving state taxpayers roughly $650 million a year. Lawmakers plan to continue taxing estates after the first $5 million, rather than increase the tax-exempt portion to more than $11 million as Congress did. And legislation sponsored by House Majority Leader Bill Frick would help residents reduce their federal taxes by creating a nonprofit fund to support K-12 education and school construction. In exchange for voluntary donations to the fund, taxpayers could get a state income tax credit. 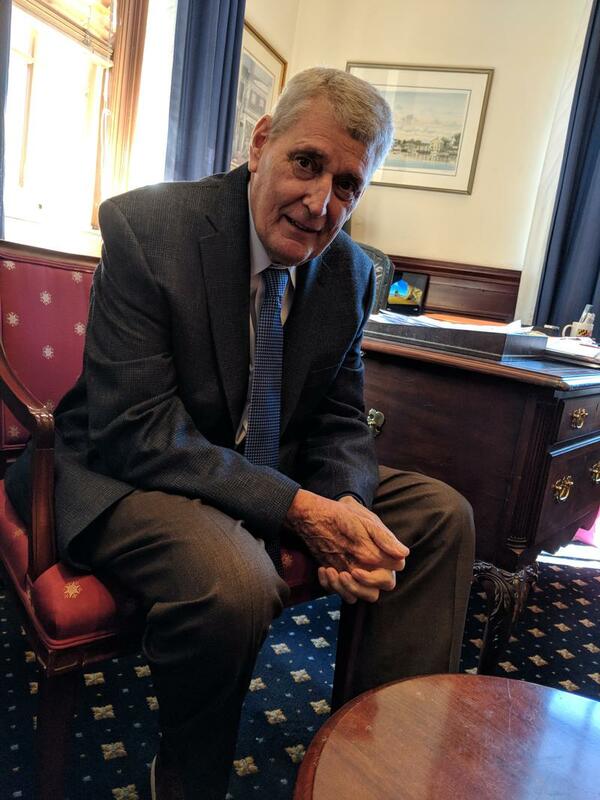 Senate President Mike Miller said these efforts aim to protect middle-class taxpayers. Many of the details about how the Democrats’ proposals would work still need to be worked out. House Speaker Michael Busch said they will be by the end of the session. He said lawmakers are waiting to get full details on the impact of the tax changes from Comptroller Peter Franchot. 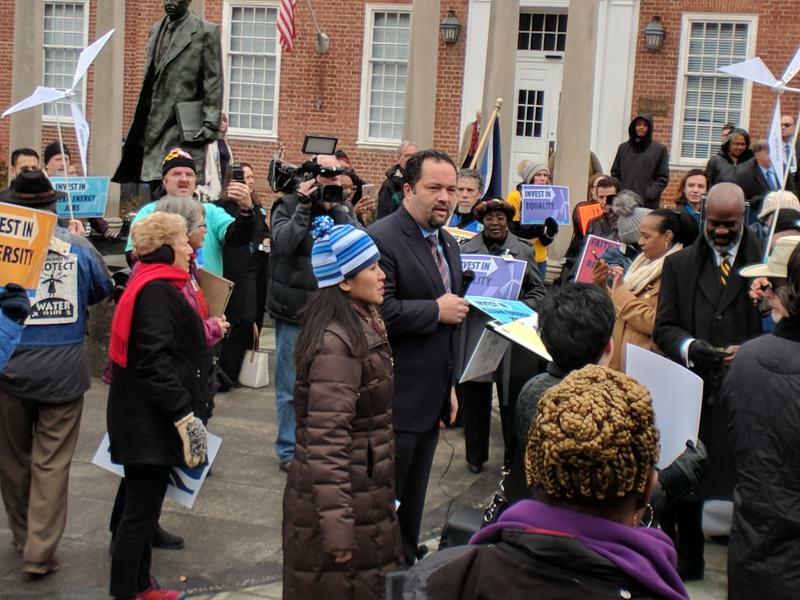 Franchot’s office said he expects to have that information by the end of the month. At his own press conference Tuesday, Gov. 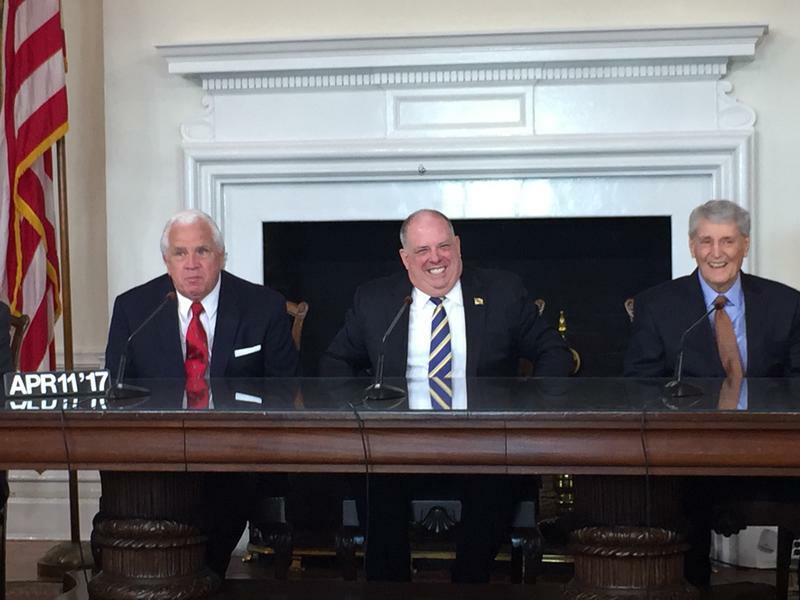 Larry Hogan said he is “thrilled” about the Democrats’ announcement. 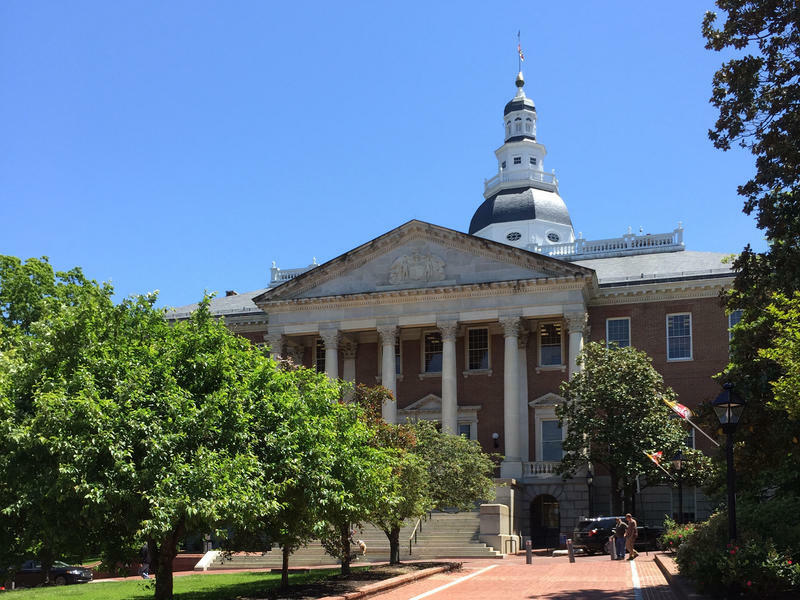 Hogan said he expects taxes to be the primary topic of conversation at a breakfast meeting Wednesday with legislative leaders. He said he plans to reveal his own tax plan soon.